Throughout college I regularly did pilates videos in my room, took classes at the student sports center, and religiously used my Fitbit to track my daily activity and steps. 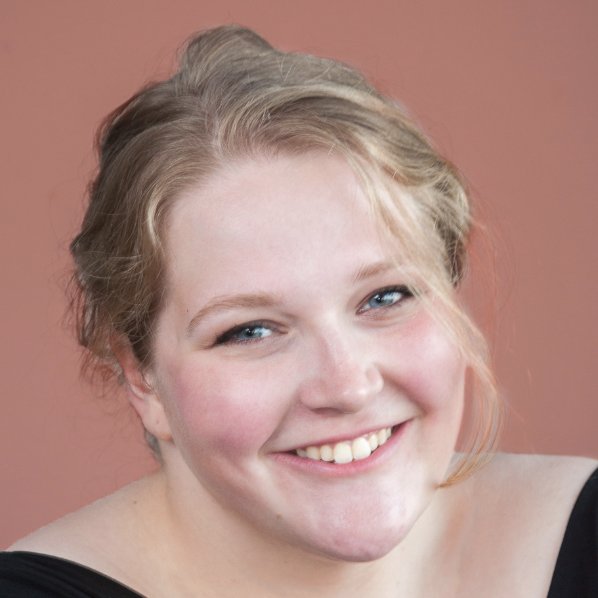 Now that I’ve graduated, I’m taking it a step further: after spending a few months with a personal trainer, I’m using different programs to work out on my own. I’ve even started running (which I hate) and weight lifting (which, surprisingly, I love) in addition to my normal routine. As I’ve continued getting more active, I’ve had to add to my collection of workout clothes. You all know that ethical consumerism is important to me, so it’s also important that new clothing purchases I make reflect my values. 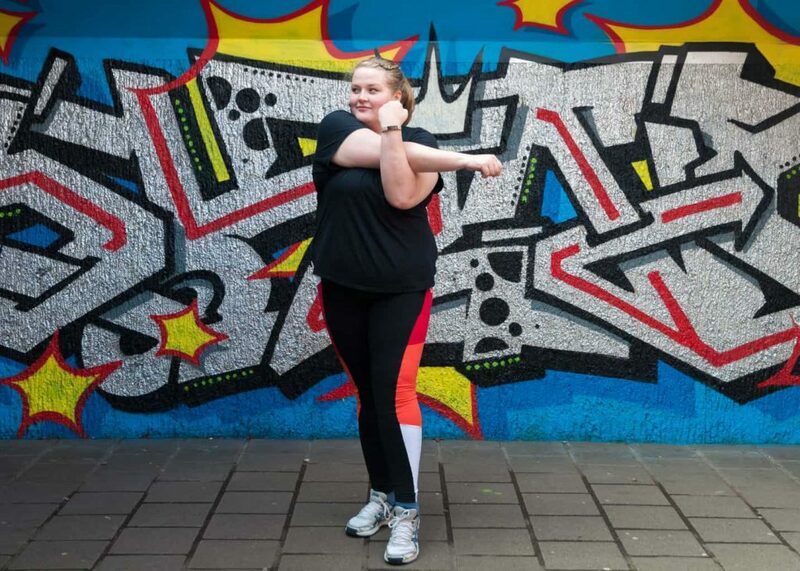 I’ve spoken in the past about how challenging it can be to find ethical clothing in larger sizes, so when I started looking for ethical workout clothes that fit my body and my standards, I was worried. 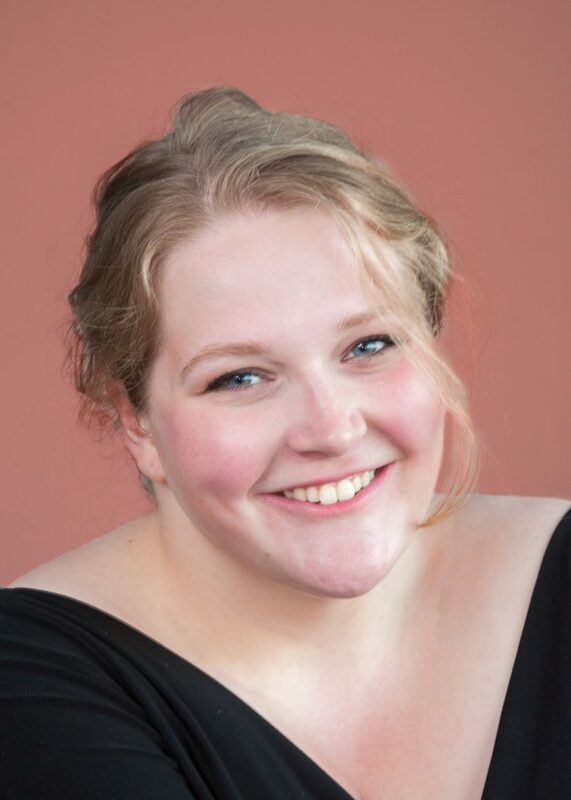 To my surprise and joy, though, I found that there were several companies who offered beautiful, practical, and sustainable activewear that came in a wide range of sizes. I reached out to them to collaborate, and they were each kind enough to send me a few pieces to review. Today I’ll be sharing about these three great companies and the beautiful, ethical work out clothes they sent me. Three outfits. Three locations. Three incredible companies to support. I came across Lineagewear and their #bestleggingsever line last year when I was looking for leggings for my yoga class. I bought a pair and was immediately in love with their high waist, soft fabric, and beautiful print. The founder, Katie, used to be a costume designer for Broadway, and her bold, brilliant aesthetic is visible in each pair of leggings. These leggings are super comfortable: smooth, a great length for me (I’m 5’10 and these fit perfectly — if you need a different length, they also come in shorts, capri length, and a mid-foot length), easy to take on and off, and so comfortable. They’re so beautiful that I honestly feel like some sort of majestic peacock goddess in them. I’ve gotten a lot of compliments at the gym on these! 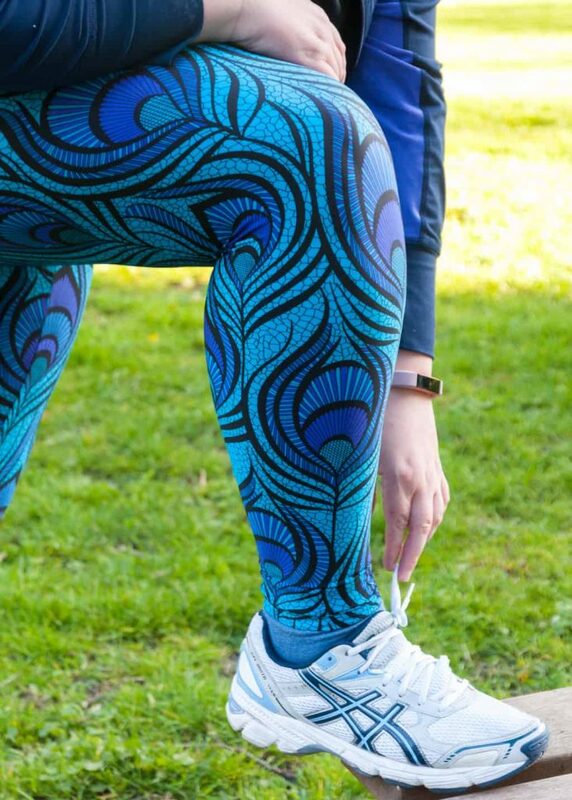 These awesome ethical leggings are their blue peacock style, but they also have more fun prints like ice cream, floral skulls, and watercolor. The peacock prints run a size small. I adore them and can’t recommend them highly enough. You can check out more Lineage leggings and tops on their site. I really love this model because sizes already fluctuate from store to store and brand to brand. When I’m one size in one pair of pants and another size in the store, I get frustrated. This sizing model feels positive and inclusive, and reduces that frustration. 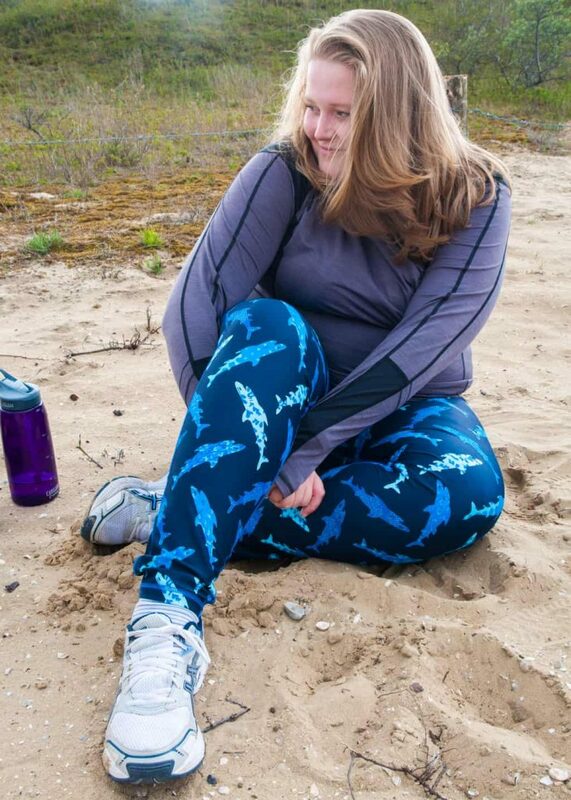 When I received the “Oh My Quad” Leggings (which I call affectionately call my shark pants) and the Keep Your Head Up Hoodie, I was so impressed with the fit and feel of the fabric. The leggings have a generous fit and hold up well when I’m running, and the hoodie is to die for. It’s so soft and comfortable inside, and wearing it makes me feel like some kind of modern Jedi. These are the Oh My Quad leggings, and you can also check out their Sore Not Sorry capri, Just Prance bootcut pant, or their All the Right Moves tank. I went to Wellesley, so it takes a lot for me to feel like more of a powerful feminist superhero than I already do, but these leggings do the trick. They’re incredible — soft, stretchy, and designed to make me look like I am actually a part of the Incredibles. I love the pocket on the side of the leg, which is tight enough that my phone doesn’t slip out, but loose enough that I can also add my keys and other small essentials. I truly love these leggings; I’ve been wearing them around the house and jokingly karate chopping Ken every time I bump into him. (He’s a fan of the leggings, but not the karate chopping.) When I’m working out, they don’t slide down, stay breatheable throughout the workout, and warn any nearby super villains that I’m around. I’m dreaming of buying my next pair already. 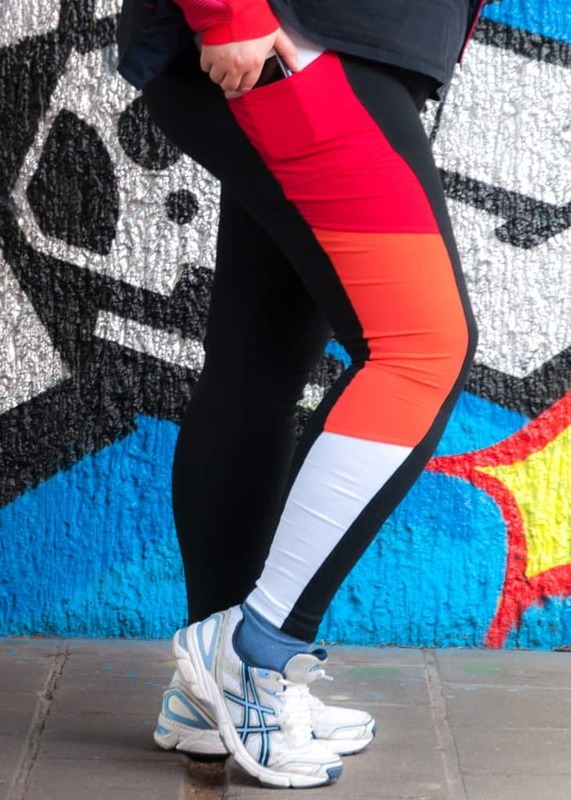 The legging I have are their Colorblock Pocket Leggings, but you should also check out their Diamond Capris, Superfit Capris, and Superfit Leggings for more designs. 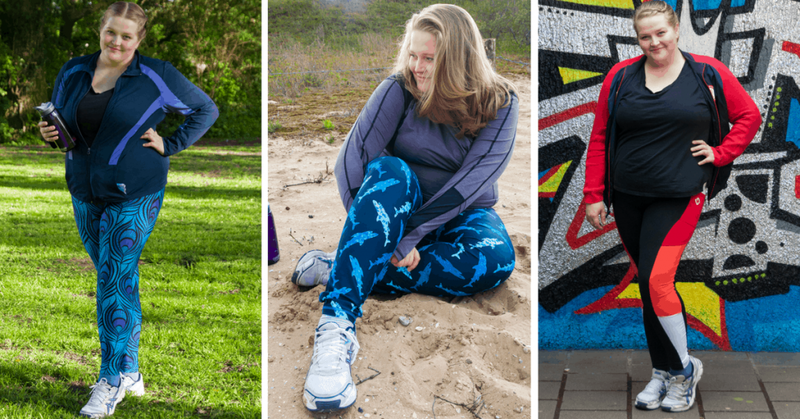 Each of these three ethical activewear companies provides incredible, comfortable, and inclusive plus size ethical work out clothes. These leggings and tops are truly beautiful and sturdy, and they make me feel like I can do anything: whether that be lifting weights or even (God forbid) running on a treadmill. 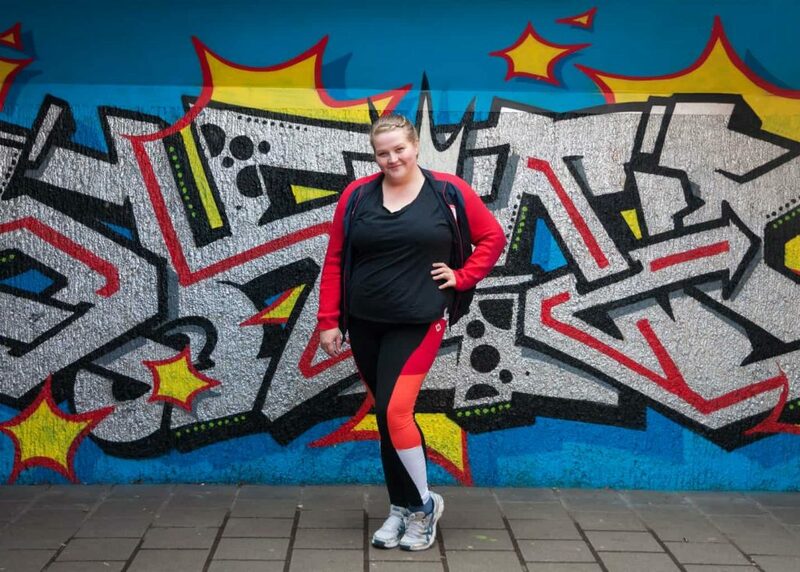 Is your activewear ethical? Where do you get it? Girl, I used to hate running too but now it’s such a stress reliever for me! Love that you’re so dedicated to finding ethical clothing! All the colorful leggings are gorgeous! You definitely hit the jackpot! Those Manifesta leggings are so cute! So many great brands! Such fun workout looks! Love all of the leggings. 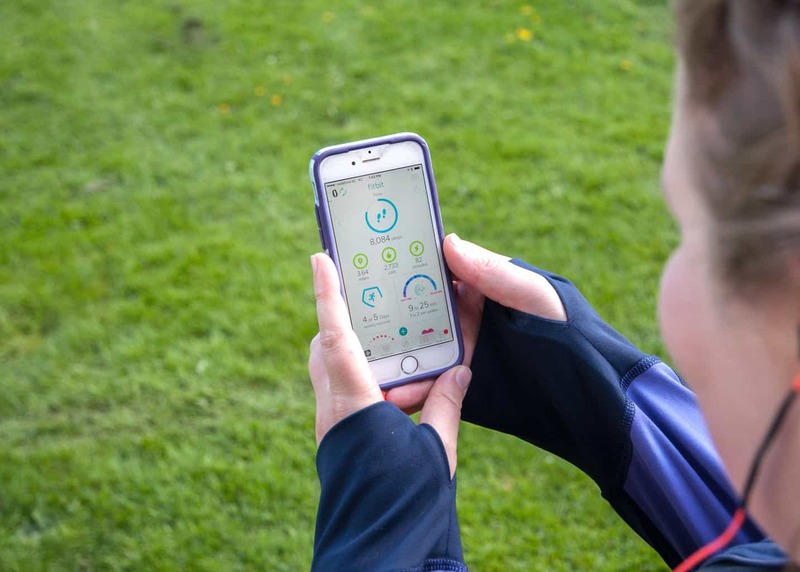 Thank you so much for including Superfit Hero in your article, Sara! I wanted to point out to your readers that we offer a 15% discount for first time shoppers on our website. Thanks again! I love the sizing scheme of Manifesta – so much better than putting a number to things! All these brands look fab! LOVEEEE this activewear! Right now, I really just have plain black pants and stuff, but I really want to get some outfits like this! I live in work out clothes! I love ethical fashion too! 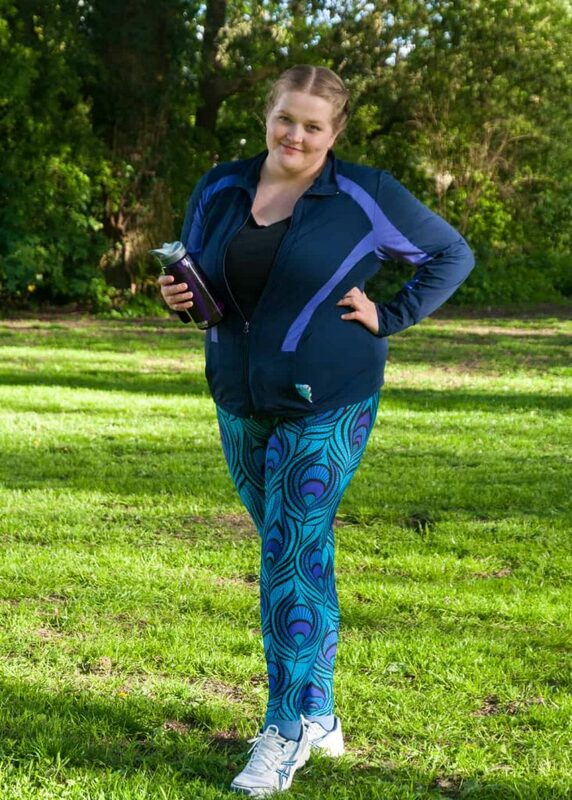 Those peacock leggings are awesome!! I love all of these leggings! Even though I’m a smaller size, because of the size differences between stores, it is such a pain finding clothes that fit well. I love the idea behind Manifesta’s sizing for this exact reason! Those peacock leggings are so cute! I am alllll for ethical activewear. Why the heck NOT?! These sound like great brands! I love those blue pants, too cute!